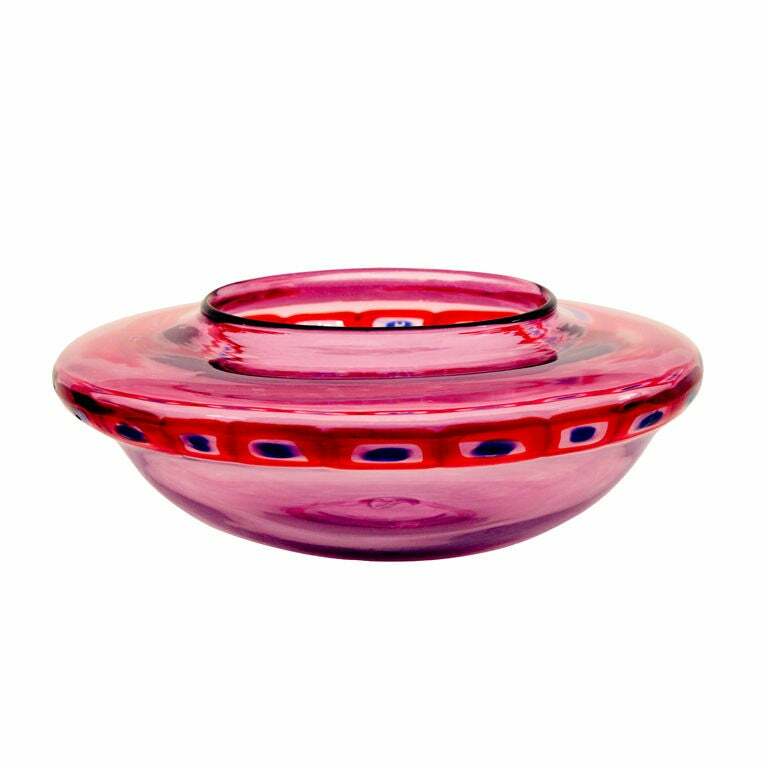 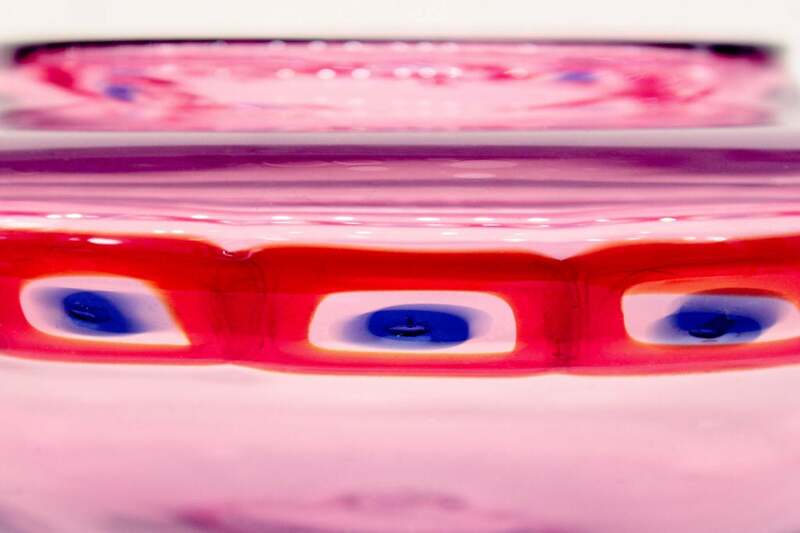 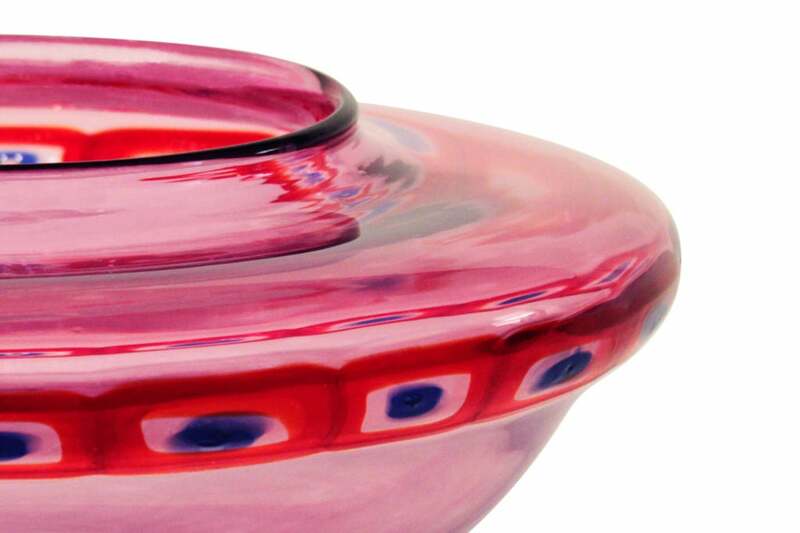 Handblown ruby glass vessel with linked multi-color murrhines by Anzolo Fuga for Arte Vetraria Muranese (A.V.E.M. 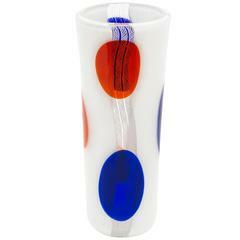 ), Murano, Italy, 1955-1960. 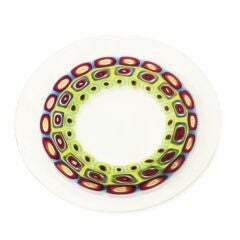 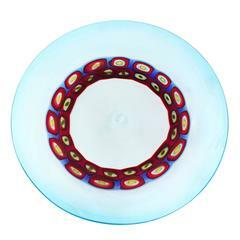 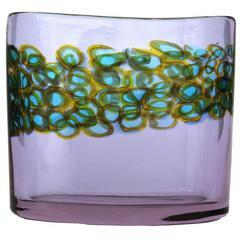 Literature: Anzolo Fuga: Murano Glass Artist, Designs for A.V.E.M. 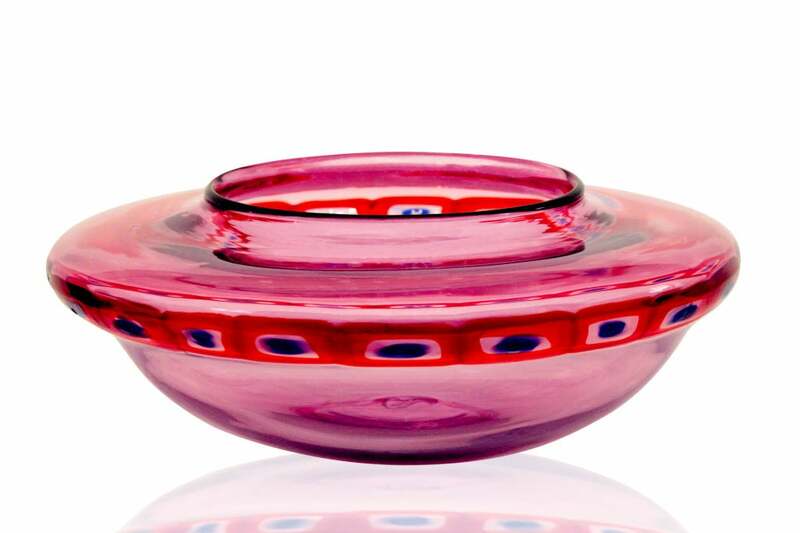 by Rosa Barovier-Mentasti, Acanthus Press, 2005, section on "Multicolor Rods and Murrine" pieces, pages 41 - 66. 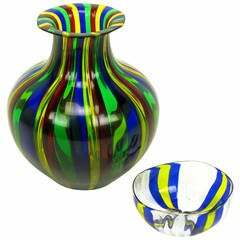 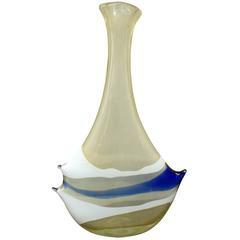 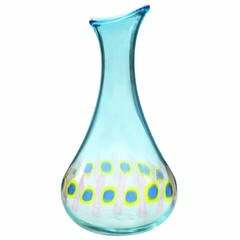 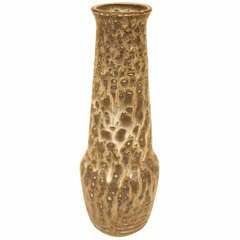 Large handblown nerox glass with applied murrhines vase, by Ermanno Toso for Fratelli Toso, Murano, Italy, circa 1960s. 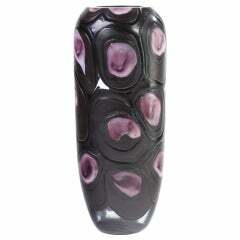 A luminous and expressive hand-blown unique pillow vase in amethyst with amber and blue internal murrines.